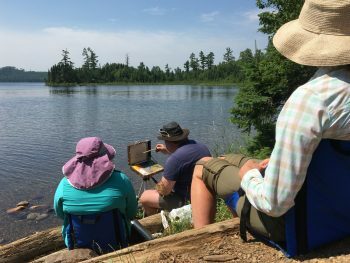 Hungry Jack Outfitters is offering our 3rd Paint and Paddle trip to Duncan and Rose Lakes this fall. 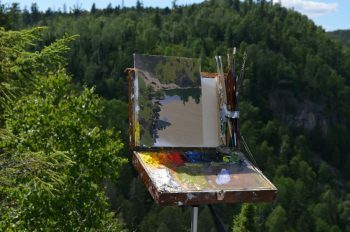 Plein Air painting instructor Neil Sherman will help you take your painting to the next level. 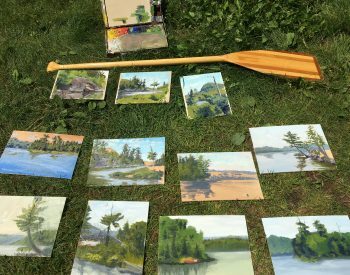 We’ll paddle out to Duncan Lake; set up camp; paint at the beautiful Stairway Portage and surrounding areas. 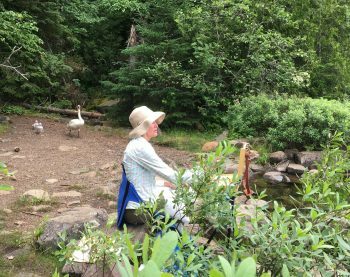 Nancy will be the camp cook for the 2 nights on Duncan, giving you plenty of time to enjoy all the BWCAW has to offer. We’ll gather for dinner September 3 and spend the night in the bunkhouse. Tuesday morning we’ll paddle to Duncan Lake to set up camp and begin the fun. After lunch on Thursday we’ll return to HJO for hot showers and ease back into our everyday lives. The cost of instruction, outfitting and food is $685/person. Please call for more details 218-388-2275. 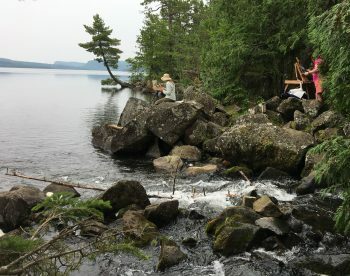 "We are still thinking about what a good BWCA experience we had this week. Thank you for such great outfitting!"